Asking for money from a prospective donor – especially a new donor – is hard. The right pitch requires courage, charisma, research, active listening, focus, timing, and instinct among other ingredients.  Protexia’s David Greaves has a successful track record in making the ask. David can accompany your leading professionals and volunteers to donor meetings, or he can go it alone on your behalf. You might only get one opportunity with some donors. Don’t let it slip by.